15,00 EUR 19 % VAT incl. For a heavier strain in jungle-like terrain, the thicket-knife (blade 3-star) is suitable. 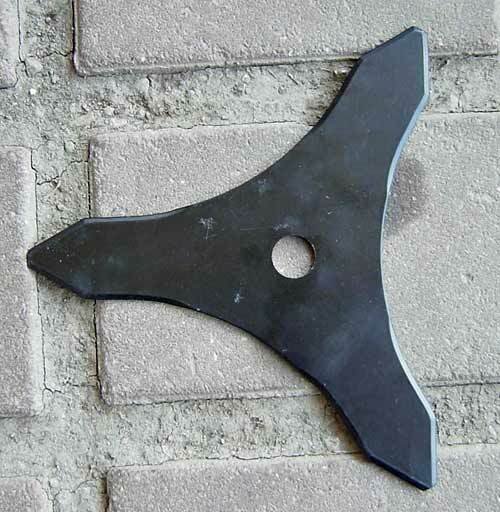 The blade has the dimensions: 230 mm diameter, 3 mm thick, center hole 25.4 mm, cutting width 230 mm. It can be easily sharpened with an angle grinder.